Professional, affordable and safe white goods removal services in Sydney and the surrounding areas. 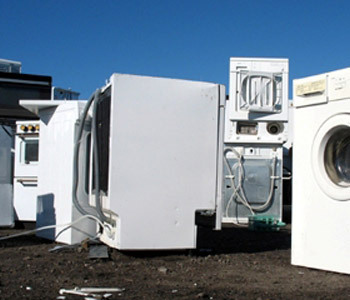 Do you want to get rid of your unwanted white goods and looking for white goods removal companies in Sydney, our professional teams are here to help. Our on-demand clearance services are available for all domestic and commercial properties. So, if there is any old electronic item staked up in the loft of the garage and you think it is time to throw this away, all you need to do is just call us and we’ll be there to help you. 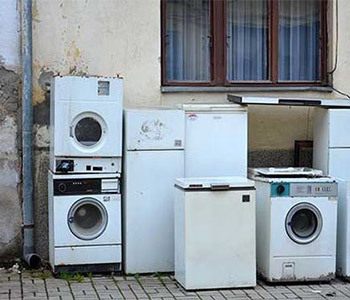 If you have an old freezer, washing machine, dishwasher or any other white goods – hire Unbeatable Skip & Rubbish Removals. Our each staff member is fully trained in handling the electronic items, so you can be rest assured that the job is in good hands. Doing it yourself could consume lots of your time and put you under safety risks. So, trust us, hiring a professional for the job could save you from all those troubles. It is much easier for the professionals and they could save you a lot of time. Most of the companies also promise the high quality services at affordable prices, and we are amongst them. We work hard to deliver immaculate services to our customers and make sure that we keep on top of things to keep our customers happy. We have the right transport for the job, enabling us to take all the waste we say we can. Our experienced professionals really take care of you and you can be relaxed knowing you are choosing the best junk removal company in the Sydney. Unbeatable Skip & Rubbish Removals are eco-friendly, ensuring we recycle as much of your rubbish as possible. We are the most convenient to use and our clearance teams do all the hard work for you. If you’ve got any questions about removing your white goods, get in touch with a member of our team today. We can also provide information on our range of other rubbish removal services in Sydney.